As a child, you probably picked up a stick and pretended it was a tree. Perhaps you even stuck it back in the ground or maybe hung things from its “branches”. Because the smaller part looked so much like its bigger part, this was an easy and effective game. This close relationship between part and whole is called “self-similarity”. Since fractals are defined by the close relationship of its various parts, it’s interesting to note that the term “fractal” was coined from the Latin word, “fractus”, where we get the English word, “fractured”. The mathematician Benoit Mandelbrot first coined the word in 1975 to describe how growth patterns in nature are produced by geometric branching. Mandelbrot is the namesake of many fractal patterns we recognize in popular culture. Fractals are actually visual representations of mathematical equations. 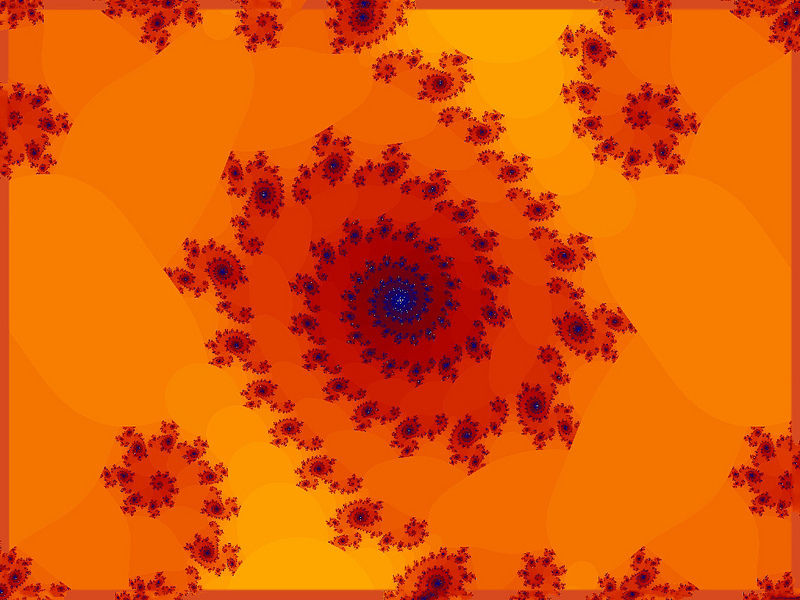 When we look at a fractal that has several colors, such as the Mandelbrot pattern shown above, we are seeing the repetition of numbers or groups of numbers. They are each assigned a color range so we can distinguish between the various numbers. Ironically, if there is no color added, like in the fractal tree diagram near the bottom of this article, we may see the overarching principles behind the pattern much clearer. These fractal equations are also behind the recent rise to success of computer animation. Their algorithms are also based on Madelbrot’s computation of rough and smooth geometries. Since much of nature exhibits self-similarity, programs can easily create landscapes that are highly-detailed. The level of resolution in a computer graphic is a result of the fractal dividing itself into smaller and smaller parts. But fractals are not just imaginary numbers plugged into a computer. We see them throughout nature. Anything that branches or has form derived from a spiral is likely to be some kind of fractal. Galaxies, cauliflower, mountains, lightning, sea shells, lungs, trees, hurricanes— the list is virtually endless. Like the Golden Section or Pi, the Mandelbrot principle reveals to us a universal principle that is more difficult to calculate than to see. Fractals are a branch of mathematics called “Chaos Theory”. This area of study tries to understand the dynamic relationship between systems and how changing factors can lead to unpredictable results. Fractals fall on a continuum, anywhere between total chaos and complete order. Most fractals in nature are highly organized structures and are therefore sometimes called “The Thumbprint of God”.